This little book screams 'look at me!' in a way that can only be achieved with a shocking pink cover with green glitter, inside covers emblazoned with a Union Jack made from cupcakes, and pages which include twinkly fairy lights. 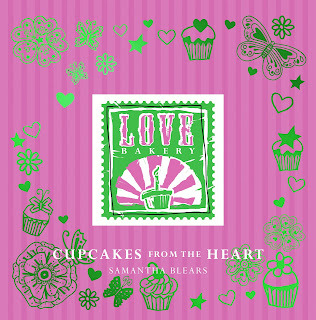 Love Bakery's Sam Blears claims to make cupcakes from the heart, and looking at the pictures in this book, on her blog and on Love Bakery website I'd say she's achieved that. The girl's living the dream! Sam Blears' story may start ringing some bells. She started baking when her children wanted a stall at the Halloween fair at school. Her stall sold out and the phone started to ring. She did the odd order for other parents, friends and family. Then came the local shops and delis. What I love about this story is the moment Sam recalls panicking about perfection, but found nifty ways (as we all do) of making something a little wonky into a picture of perfection. Buttercream faux pas concealed with a sugar paste flower and sunken cakes covered with a star shaped whip. La la la... nothing to see here... When her kitchen became too small for the orders, she moved to her own premises. She did everything herself, including the now iconic pink and green logo. Nestled on King's Road in Chelsea, Love Bakery is all about fun; from it's bright pink shop front to alcoholic 'cuptails'. 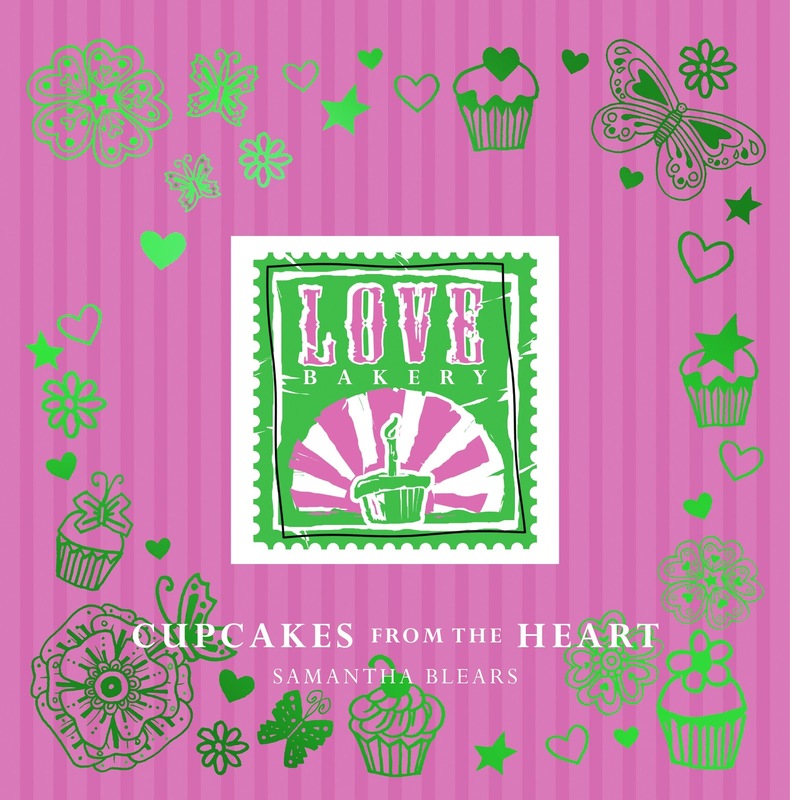 This book is definitely one for the cupcake lover. 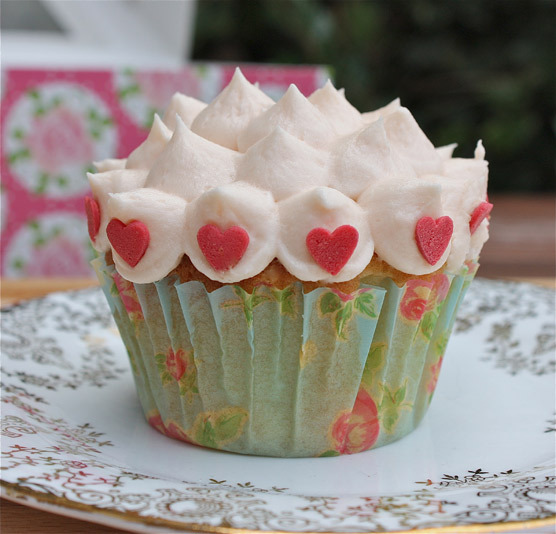 Not only does it have a broad range of recipes, but it has practical, achievable decorating techniques, that whilst are simple to create turn the bog standard cupcake into a little piece of happiness. It also includes recipes for whoopie pies, love pops, cake pops, giant cupcakes and giant doughnuts. Love Favourites - these are your basic recipes, which range from trusted vanilla to the increasingly popular Oreo flavoured. Love Fruit - luscious mango and strawberry to award winning rhubarb and custard. Love Afternoon Tea - the quintessential staples in modern form. Love Retro - a nod to the past. 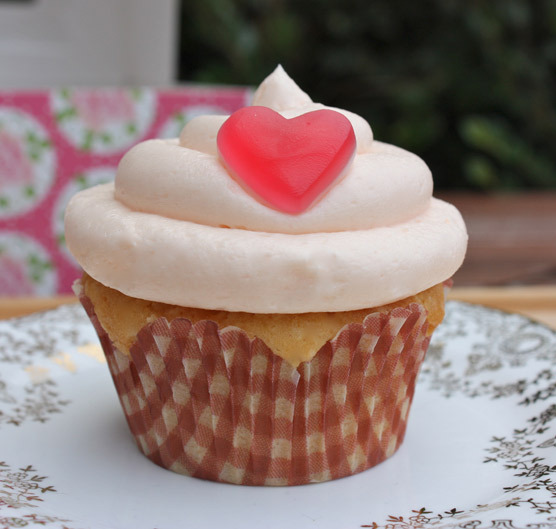 Love Cuptails - sophisticated cakes ideal for any occasion. Between recipes, the book is also filled with handy hints, tips and sources of inspiration, such as gift wrapping ideas, how to pipe, mood-boards, templates and decorating ideas. You'll enjoy this book whether you're looking to follow a recipe to the letter or use it for inspiration. Let's face it, some of the best creations are made on the fly. I often flick through baking books purely to get ideas. This one is packed. 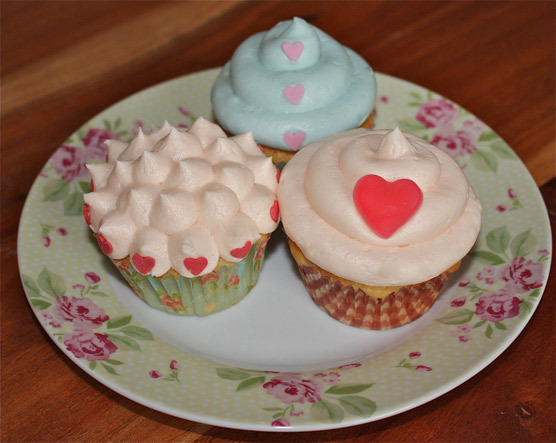 I decided to use pretty pastels, love heart sprinkles and sweets to decorate my Love Bakery cupcakes. I whipped up a batch of rose cupcakes from the Love Favourites section, and used the rest of the book as inspiration for the decoration. I dyed the frosting using pink and blue gel pastes (piped with a round nozzle) and decorated with heart sprinkles from Edible Glitter and good old Haribo. Recipes are set out clearly, with defined sections for both ingredients and method, splitting each step. There's a variation on almost every theme, so you can play around with your favourite recipes. Buy this book if you enjoy experimenting or are on the hunt for inspiration. Recipes are easy to follow for beginners, but there is enough there to keep advanced bakers happy too. Disclaimer: I reviewed this book because it's so darn pretty. I received no payment from the publisher. Read more about the author at Ivy Press. This is one of my favourite books. Your cupcakes look great! Love this book. Your cupcakes look perfect!